Even as property sales charge forward, buyers today face many challenges when closing a deal. Whether you’re seeking something in the commercial or residential fields, here’s what you need to know in this new marketplace. Just halfway into 2015, the year is already a good one for those in the real estate industry. Last summer, real estate agents said they were enjoying the best year in recent memory, and this year is even better. At Home State Bank, in Crystal Lake, business is nearly 50 percent better than last year, says Greg Grojean, senior vice president of the home mortgage division. This May, closed home sales in McHenry County were about 15 percent higher than in May 2014. As inventory has dwindled, sale prices have climbed nearly 5 percent, according to data compiled by Heartland Realtor Organization (HRO), an association of real estate agents in the county. Although the region’s real estate market appears to be charging forward, it’s still in a recovery mode. For one thing, home equity isn’t yet in line with home prices. Many potential move-up buyers are choosing instead to stay put, says Jim Haisler, CEO of HRO. They fear taking a loss on the sale of their homes. Homes priced below $250,000 are moving fastest, says Haisler. The market for higher-end homes, above $500,000, is recovering at a slower pace. The story is the same for commercial properties. Smaller ones, generally less than 10,000 square-feet, are moving faster than larger properties. In both commercial and residential real estate, opportunities for the buyer abound. Mortgage rates remain relatively low and undervalued properties hold potential for financial gain. Whether you’re looking to settle into a new home or expand your business into new territory, it’s important to be aware of the market’s new standards and conditions. Obtaining a commercial mortgage is, in many ways, like obtaining a home mortgage. Ample documentation is required, along with an appraisal and property inspection – but in other ways, the process and requirements are very different. Home mortgages are sold on a secondary market to groups like Fannie Mae and Freddie Mac, but commercial mortgages are retained and serviced by your bank. Banks often adjust the interest rate in five-year increments during a 20- or 25-year repayment period. Low interest rates and decreased land values have tipped the market in favor of buyers, rather than builders. Rick Zonts, senior vice president and market manager at Elgin State Bank, likes to help his commercial clients be prepared before seeking a commercial mortgage. He expects a business to be tracking things like cash flow, financial statements and tax returns, both for the business and its major principals. Those who own more than 20 percent should be prepared to be a guarantor of the transaction, and will need supporting documentation. Zonts also prefers to see solid research on a new property. If it’s an investment property, are the tenants locked into long-term leases? If a tenant were to leave abruptly, how would the owner absorb the loss of rental income? Equally important, if the new property will be owner-occupied, Zonts wants to know the company’s growth strategy for the next 10 years. “You need to consider, ‘Where’s my business right now, and how much square footage do I operate in?’” he says. Property taxes may also factor in. Measured by the square foot, commercial real estate taxes tend to be higher in Cook County but lower in DuPage, Kane and McHenry counties. As always, location factors in heavily when identifying the best real estate opportunities. McHenry County’s market is improving fastest in the larger population centers, says Leathers. Zonts notices the same thing in Kane County, where multifamily and retail developments have rebounded. Just as a home is inspected and appraised before it’s purchased, commercial property also must be evaluated carefully. Appraising a commercial property costs between $1,700 and $5,000, says Leathers, and provide essential information. Most appraisals contain three values: an assessment of nearby and like properties sold within the past six to 12 months, the potential rental income of the property and the value of reconstructing the property. An experienced banker can help a business owner to identify overvalued properties. Kurchina, of McHenry’s HRO, advises his commercial clients to look closely at industry definitions, so that they understand exactly what they’re agreeing to. Terms such as “Gross vs. Net,” “Triple Net,” “Vanilla Box,” “Standard Buildout,” and “Insulated Shell” often vary from market to market, says Kurchina. Many clients, especially those in manufacturing, look closely at proximity to transportation routes. Haisler, of HRO, knows of several companies that have based relocation and expansion decisions on proximity to major thoroughfares, which are harder to find in some parts of the county. The recent recession and its real estate bubble brought about tighter lending requirements and increased banking regulations. In many ways, the recession simply returned traditional home mortgage products and standards to the way they once were. The best starting point in today’s market is the prequalification process, which should happen before involving a real estate agent. During this process, a lender will evaluate the homebuyer’s finances and verify how much home they can afford. Once a homebuyer’s offer is accepted, this prequalification information will be used in the formal mortgage application. Lee Pederson is senior residential lender with Wintrust Mortgage and its cousin, Elgin State Bank. When he meets with potential homebuyers, he wants to know they’ve done their homework. Homebuyers who are organized and prepared generally have an advantage. It’s also a good idea to set aside funds for a down payment well in advance. Setting them aside in a checking or savings account makes them easy to track during the underwriting process, says Pederson. Lenders also scrutinize credit scores, which should be checked well in advance, so that any potential issues can be resolved before a mortgage application process starts. Sherry Blondell, loan officer with American Midwest Bank, which has locations in DeKalb and Kane counties, says the lowest acceptable credit score is around 620 to 640. Documentation is essential during the qualification process, and it’s more demanding than ever. Expect to submit a month’s worth of pay stubs, two years of W2s and tax returns, two months of asset account statements, and a driver’s license or state ID. Be ready to track any large deposits, too. Blondell says it’s not uncommon for clients to save too little for a down payment. For those who haven’t purchased a home in the past decade or so, the prequalification process may seem unusually burdensome. That’s partly because of the regulatory environment, says Pederson, but it also helps to make underwriting go much easier. 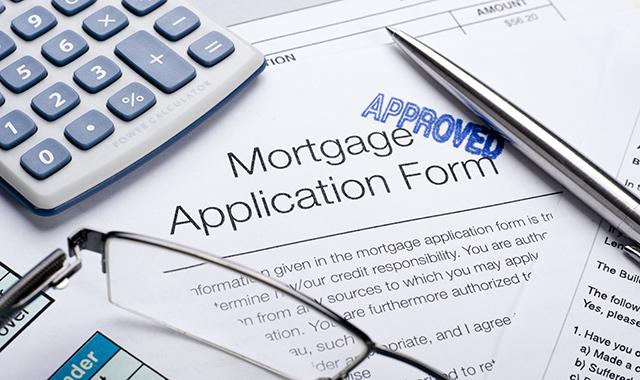 A reputable banker can navigate a homebuyer through the qualification and application process. Because it’s a relationship that develops between banker and client, Pederson advises shopping for the right lender, by seeking referrals from friends, family and trusted real estate agents. “Your first question should not be, ‘What are your rates?’ and yet 95 percent of the time, that’s the first question,” says Pederson. Rather, it’s important to find somebody who’s accountable, knowledgeable and service-minded. When Pederson makes a loan, he doesn’t just bring the firepower of Elgin State Bank, a subsidiary of locally owned St. Charles Bank & Trust. He also brings the firepower of Wintrust Mortgage, part of the bank’s parent company, which is based in Rosemont and serves locally owned banks throughout greater Chicagoland. Home State Bank, which celebrates its 100th anniversary this year, is similarly community-focused, with all decisions being made by lenders based in McHenry County. The bank coaches its customers during homebuyer education seminars at its Vernon Hills branch. The seminars walk people through the buying process, from prequalification to closing. It’s been a busy season for lenders in northwest Chicagoland. Pederson says most of the growth he’s seen is among first-time buyers. Move-up buyers have been reluctant to enter the market for homes priced above $417,000 – the starting point for a “jumbo mortgage.” However, Pederson sees several incentives for buyers interested in a larger home. Because they involve higher-cost homes, jumbo mortgages require a greater commitment from homebuyers. Any down payment below 20 percent is problematic, as are credit scores under 700, says Pederson. Blondell finds that everything is scrutinized more closely when underwriting a jumbo mortgage. Gone are the days of stated income and stated asset mortgages. Traditional, 30-year mortgages are in vogue, but qualified customers might find additional deals on shorter terms, such as 15-year or 10-year fixed loans, says Blondell. Interest rates remain at near-historic lows, but Kurchina and Haisler, of the HRO, suspect that several market forces are suppressing demand. There’s talk that the Federal Reserve intends to raise rates soon, but there’s no guarantee when. The supply of homes still lags behind demand, but conditions look far better than they did even one year ago. Pederson, of Wintrust Mortgage, sees opportunities for players in many parts of the market. This entry was posted on Tuesday, July 21st, 2015 at 12:00 pm	and is filed under Northwest Business Magazine, Top Posts. You can follow any responses to this entry through the RSS 2.0 feed. Both comments and pings are currently closed.